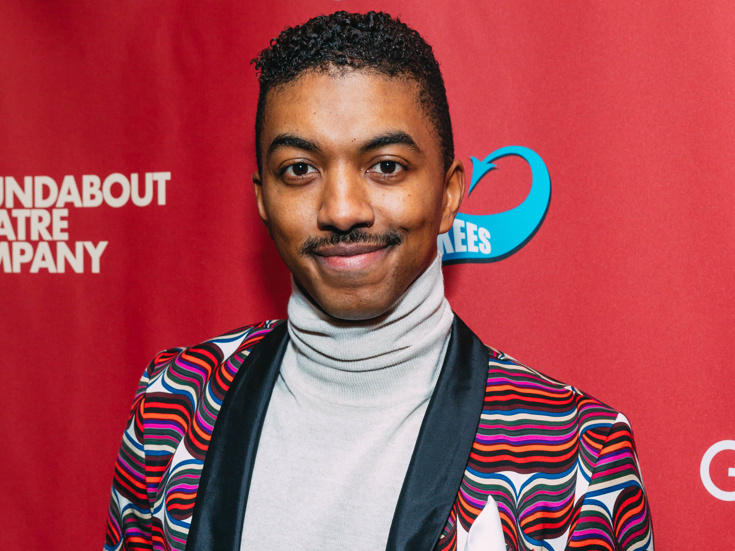 Get ready to hear silver-voiced Broadway alum Christian Dante White sing the iconic Lerner & Loewe tune "On the Street Where You Live" when he joins the luminous revival of My Fair Lady in 2019. The newly announced featured cast member will assume the role of Freddy Eynsford-Hill on January 8, replacing Jordan Donica, who will exit the Lincoln Center Theater production on December 30. White told Broadway.com, "I am beyond thrilled to join this beautiful production. I can't wait to sing that iconic song and fall in love with Laura Benanti each night." Most recently seen on Broadway in Hello, Dolly!, White has also appeared onstage in The Book of Mormon, The Scottsboro Boys and Shuffle Along, or the Making of the Musical Sensation of 1921 and All That Followed. White joins a principal cast led by Laura Benanti as Eliza Doolittle, Harry Hadden-Paton as Professor Henry Higgins, Rosemary Harris as Mrs. Higgins, Allan Corduner as Colonel Pickering, Linda Mugleston as Mrs. Pearce and Clarke Thorell as Professor Zoltan Karpathy. As previously announced, Danny Burstein will also join the company on January 8 in the role of Alfred P. Doolittle, replacing Norbert Leo Butz, whose final performance is set for January 6.